Hello Friends! 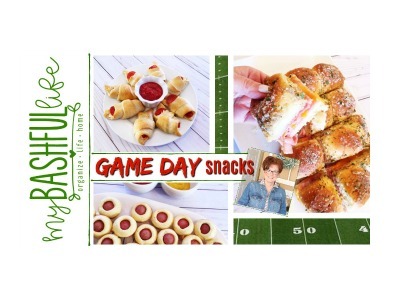 The Big Game is only days away and today I am sharing some simple and delicious snacks that will keep everyone happy! We are Eagle and Steeler fans in our house and although neither of our teams are playing in the Super Bowl, we can still enjoy the game surrounded by good friends and really good food. 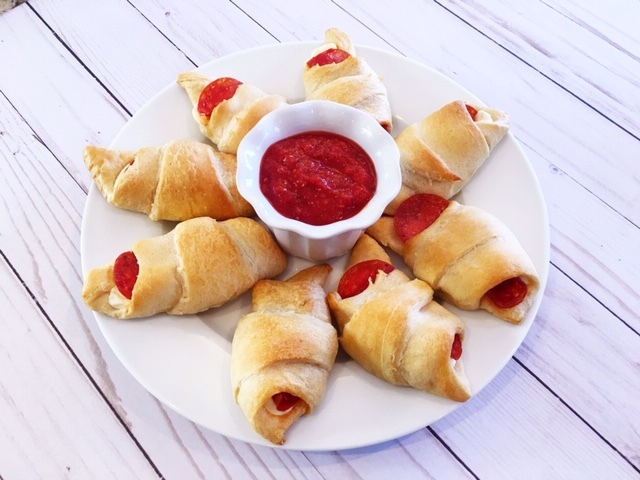 The recipes below are super easy to prepare and can be doubled to feed a crowd. 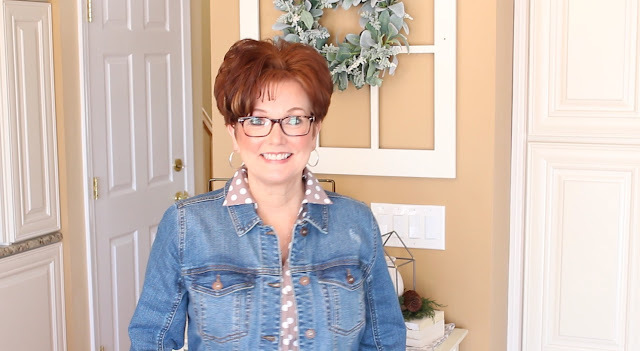 The day I filmed, my kitchen was so bright with the sun reflecting off the snow! I always love days like this! Ham and Cheese Sliders 20 Slices of thin sliced ham 10 slices of Sharp Cheddar Cheese Pkg of Hawaiian Rolls 1 Stick of butter 2 tsp Worcestershire sauce 2 tsp minced onion 1/4 tsp salt 1/4 tsp pepper 1 tsp Dijon Mustard Romano cheese dried parsley Melt butter in a pan and whisk together with the Worcestershire sauce, minced onion, mustard, S/P. Set aside. With a serrated knife cut the Hawaiian rolls horizontally in two pieces. Place the bottom half in the bottom of a baking dish. Layer with half of sliced ham, then cheese and then another layer of ham. Top with the the remaining rolls. Pour butter mixture on top and cover with foil. Let sit for 10 minutes then bake in a 350 oven for 20 minutes, Uncover and bake an additional 5 minutes to brown. Remove from oven sprinkle with cheese and parsley. 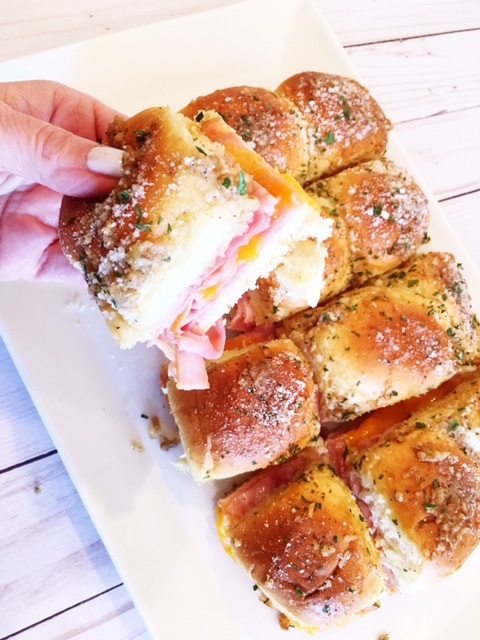 Cut into sandwiches and serve warm. Corn Dog Bites Quaker Oats Corn meal beef hot dogs. Follow the cornbread recipe on the back of the cornmeal container. Mix and set aside. Cut each hot dog into 4 equal pieces and trim ends. Fill the cup of a prepared mini muffin tin 3/4 full with cornbread mixture. 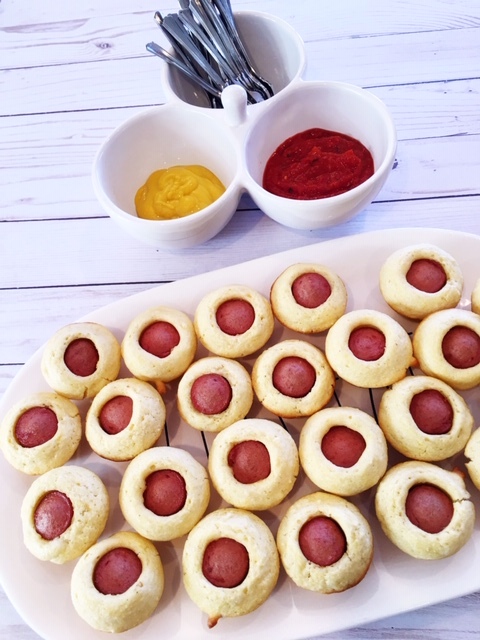 Place a hot dog piece in the middle of each muffin. Bake in a 400 oven for 12 minutes. Serve on a platter with mustard and ketchup! Hope you all enjoy your Game Day celebrations and your team wins it all! 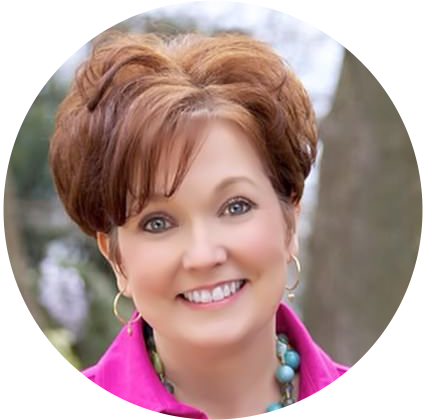 Thank you so much for visiting and please take a minute to subscribe!